As a Global Social Service Support to SDGs we strive to mobilize, connect people, empower local Citizens worldwide without distinction so that they know, understand, secure and enforce their roles, responsibilities and engagements in the achievement of SDGs, global and local development. Access to Skills and Knowledge that promote local and global sustainable development is our chore. Our efforts to create a Regional Academy for skills and knowledge for development will contribute to the improvement of vocational training in the informal sector inclusive formal sector. KFDWB is committed to mobilizing, motivating and connecting local communities, CSOs and NGOs with available development trends and resources (educational materials, ICT tools, information, knowledge and skills to demand for development accountability, inputs, availability, or financial capacity). Moreover, we endeavor to assist these groups in acquiring an adequate technical capacity through capacity building, understanding the development challenges they are facing, publicizing updates on these issues, actively engaging themselves with resolutions, and in the development and gender equality activities of their own societies. We believe that to promote sustainable development worldwide, we need to ensure public access to information and that all people acquire the knowledge and skills needed in order to engage in local development solutions and initiatives. We are now connecting more than 1000 members and active volunteers on the ground and the number is still increasing. We, Knowledge for Development Without Borders (KFDWB), believe that in the 21st century, human sustainable development inevitably requires open access to information, knowledge, communication and technology (ICT) consistent to the global Sustainable Development Goals (SDGs). 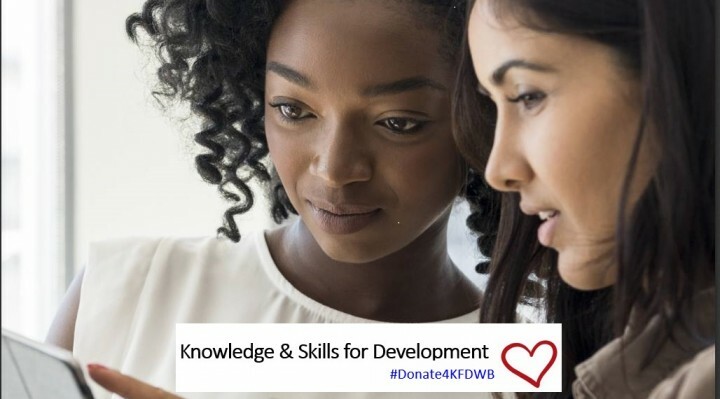 Therefore, K4DWB supports local, marginalized and underprivileged communities in often forgotten places with fitted ICT skills and tools to deal with their daily challenges on a personal and professional level. More specifically, we are focused to equip students, graduates, young girls, women, and adults in need with ICT skills adjusted to their needs. These skills can be used to research for job advertisements, free online courses, health issues, legal consulting, women’s rights, climate change topics, local institutional addresses, and many other resources in accordance to the SDGs. Additionally, we help people to set up their own businesses and keep them updated with new technological trends. Feel free to receive more information about the benefits of our training or by reading our ongoing training reports. The pictures of our previous trainings can be found here.